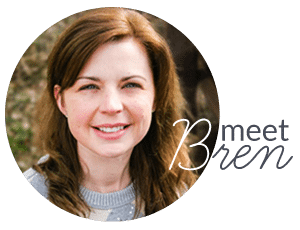 Pine cones are a beautiful, natural addition to home décor. 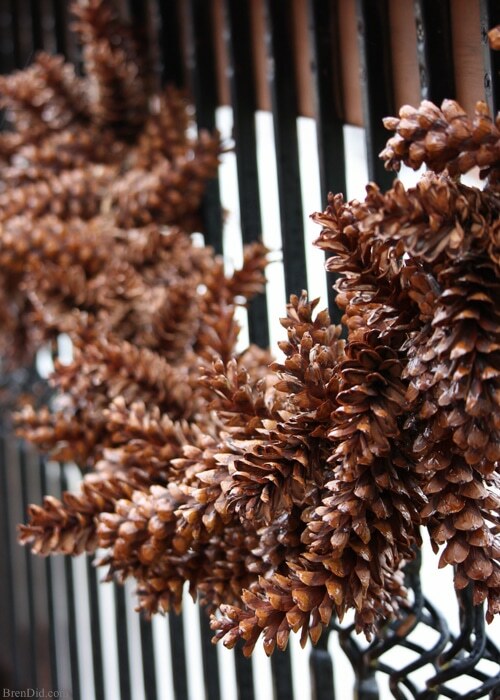 Learn how to make a pine cone garland for a touch of woodland style. 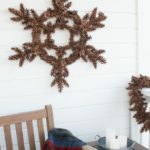 This easy tutorial shows you how to create your own pine cone garland for less than $1.30 a foot. It's the perfect holiday decoration both indoors and out. 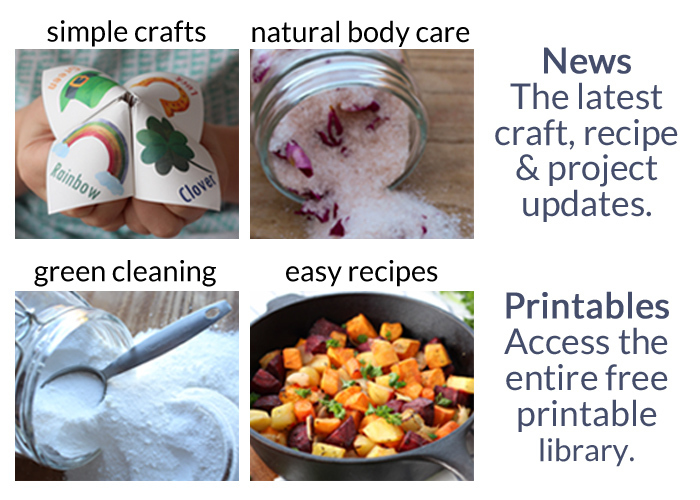 This post uses affilaite links, they don;t cost you a thing but help us bring you create projects. See more in policies and disclosures. 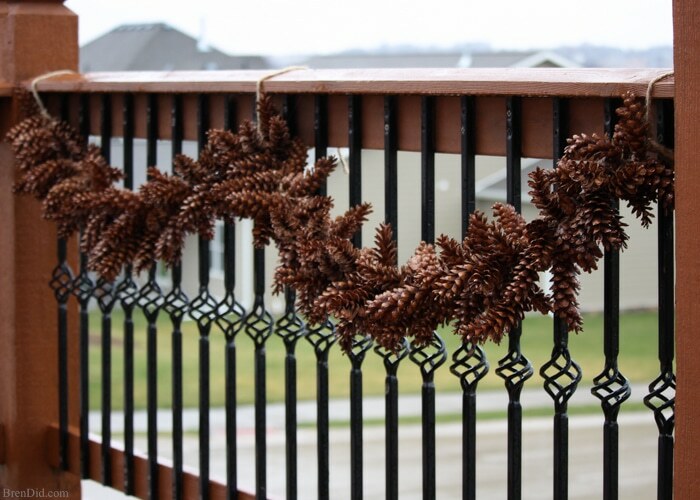 A simple pine cone garland adds a natural touch to seasonal décor. There is something warm and charming about natural elements used to create a festive display. 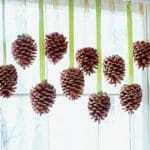 This tutorial uses pine cones I collected in my yard. 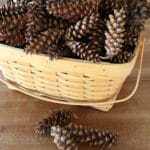 You can make your own crafts using pine cones you find outdoors as long as they are properly prepared, learn more in my tutorial for curing pine cones. 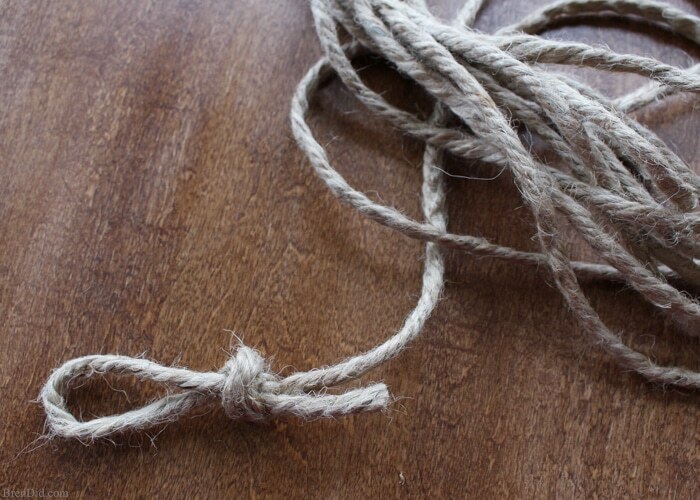 You can string this lovely garland across your mantel for a touch of woodland style or add it to a porch railing for festive seasonal decor. 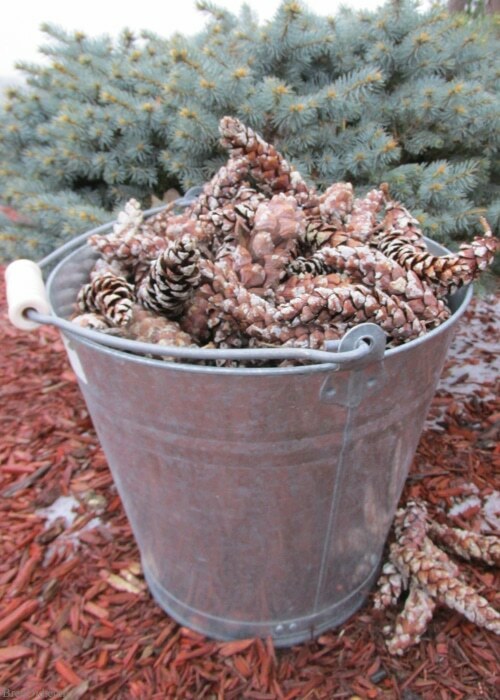 1 – Prepare the pine cones. 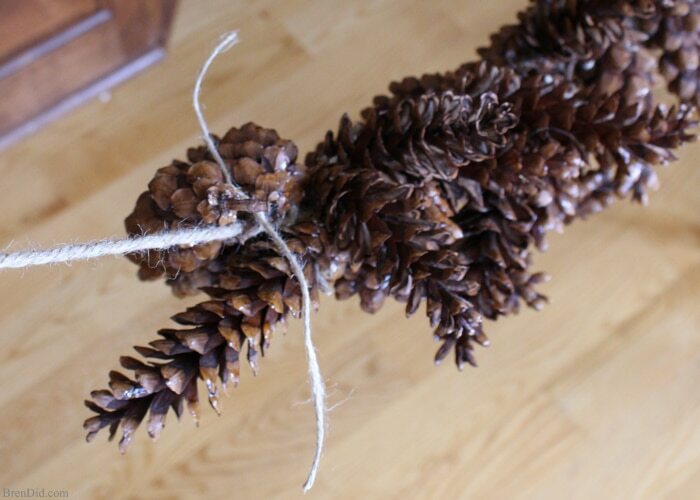 You will need 1-3 pine cones per inch of garland. 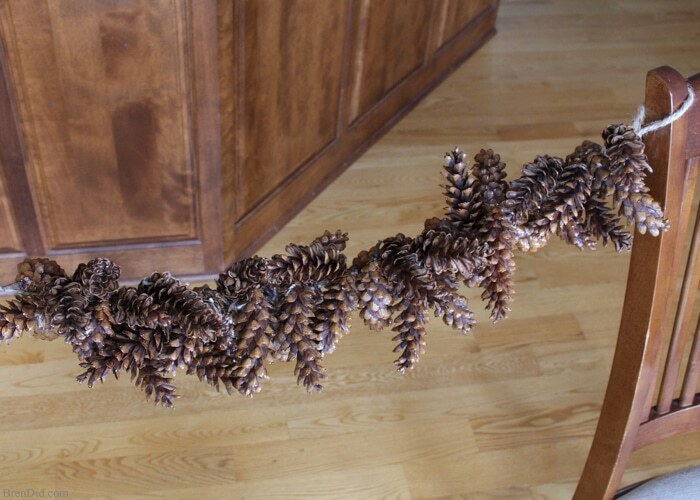 Use more pine cones for a thicker the garland. 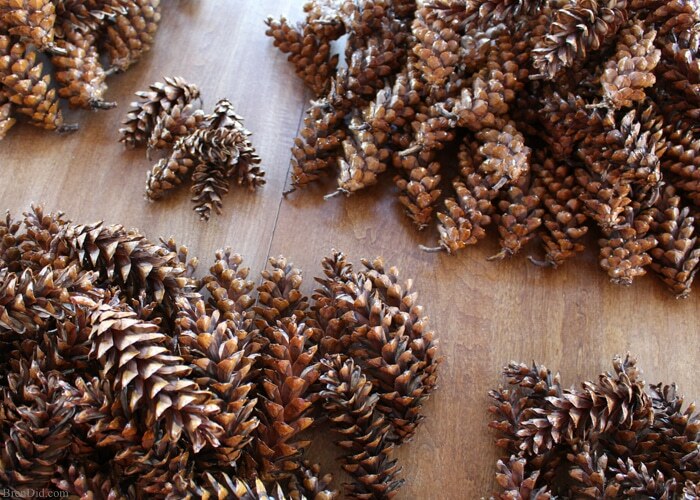 Sort the pine cones by size (small, medium, large). 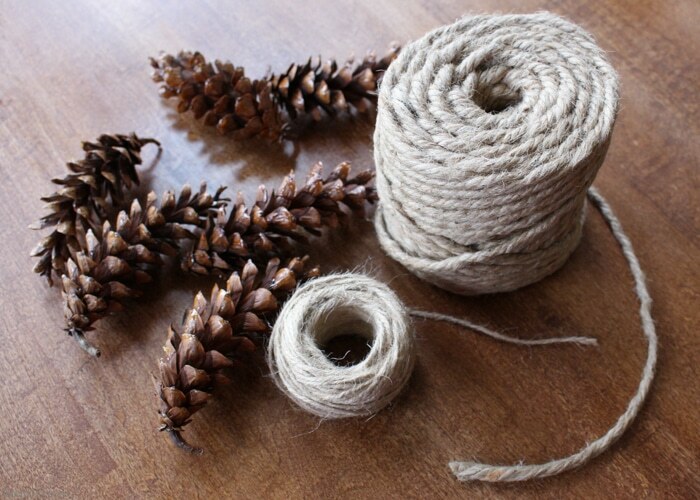 3 – Cut a 6-8 inch piece of lightweight twine and tie it in a knot around the top of a pine cone. 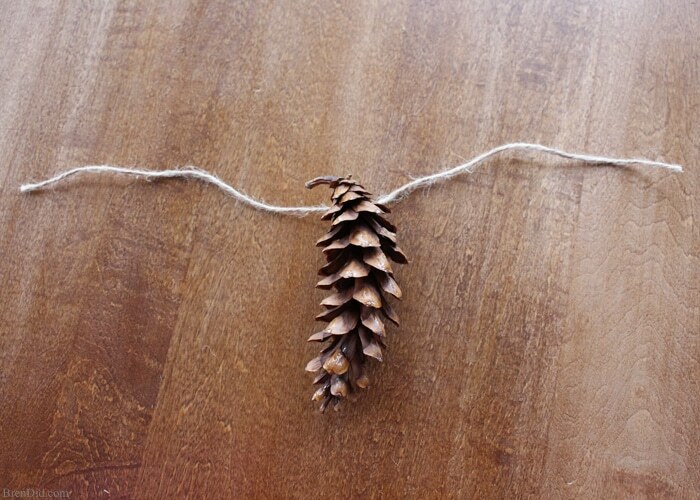 4 – Tie the pine cone to your heavy weight twine. 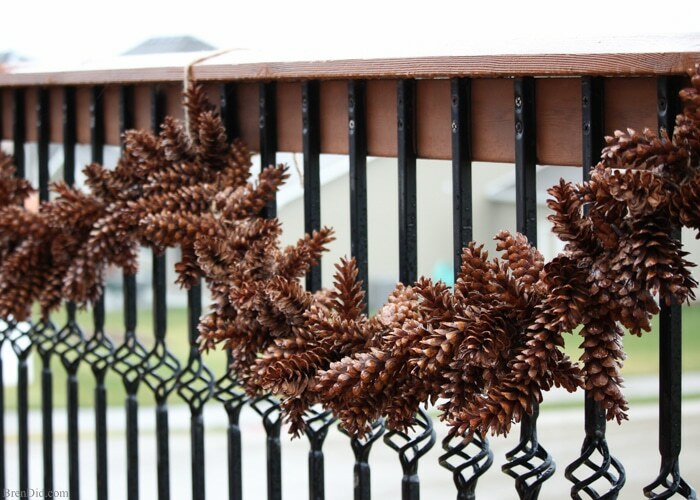 5 – Continue to tie pine cones to the garland. 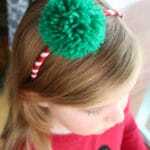 For a thick garland try make them face several directions. 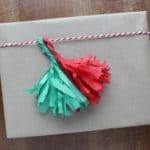 It can help to hang the garland between two chairs while working. 6. 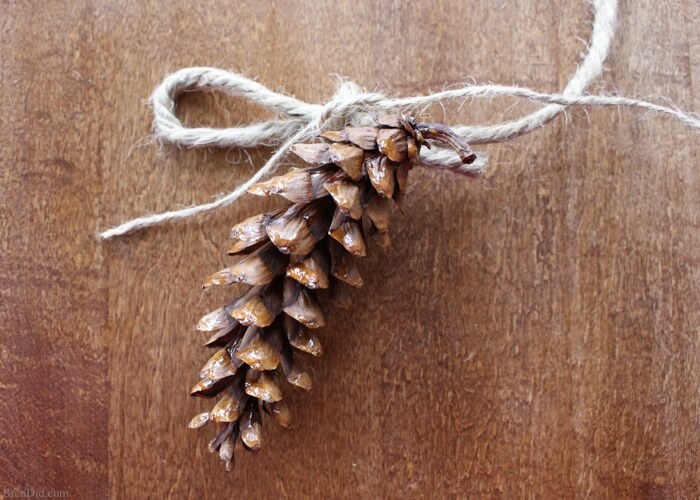 Add a few drops of essential oil to the pine cones and twine to add natural holiday scent. I like to use cinnamon or clove. Love the scent of pine cleaners? 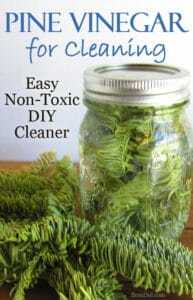 Check out my DIY evergreen vinegar for cleaning, it's all natural! Thank for your wonderful ideas. 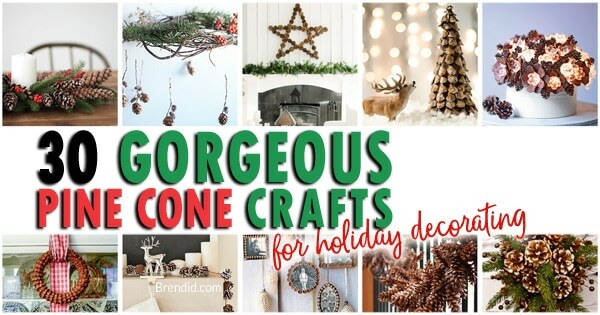 Love to decorate with pin cones. Beautiful! I have one suggestion of using them indoors you need to bake the bugs out. It takes about twenty minutes at 250 I think! Thanks, Linda! I soak mine in water and vinegar and then bake. 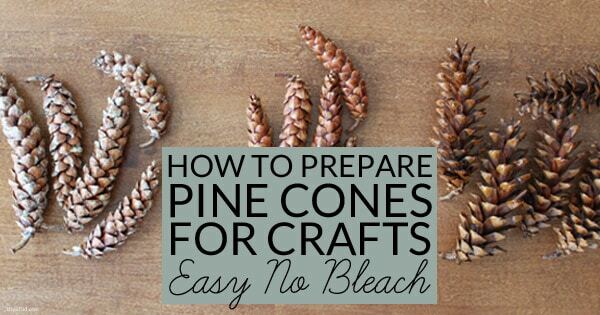 I have a post with the full instructions for preparing pine cones for crafts here. Thank you for the lovely comment. I hope you get your wreath done this year!